Because I haven’t been able to do much sewing for the last two weeks, I don’t have that much to show you. However, I thought you might like to see a quilt I designed and made a while back. 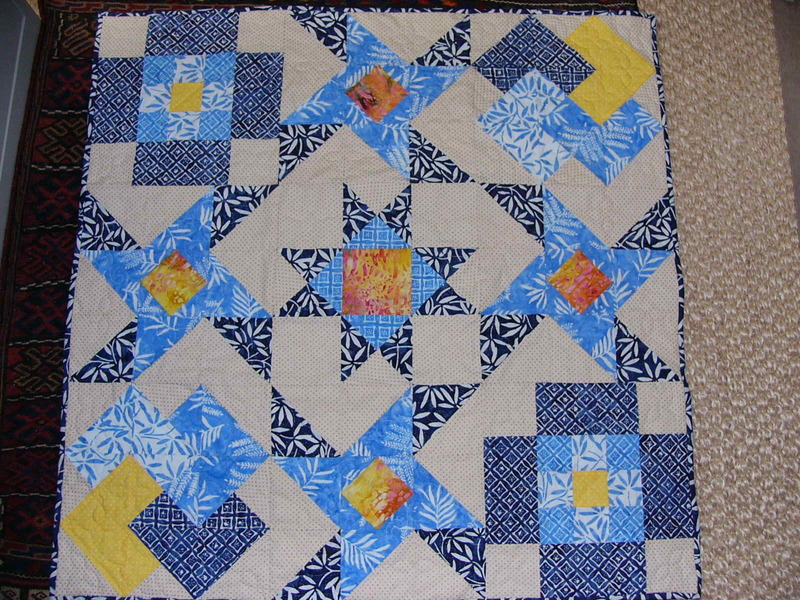 It was a “Quilt As You Go” quilt and was hand pieced and hand quilted. It started because I saw the lovely blue batiks in a fabric shop and they instantly reminded me of the sea. I wanted to make a quilt that reminded me of summer and this one does. Can you see the (not so) deliberate mistake?